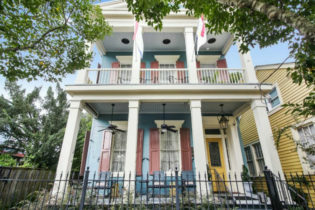 The Chimes is a beautiful and welcoming New Orleans Bed and Breakfast in the historic Uptown/Garden District neighborhood. Our prime location is just three blocks from Magazine Street, home to some of New Orleans' finest coffee houses, restaurants, shops, and antique stores, and also just three blocks from the St. Charles Avenue street car. We offer five lovely rooms with private entrances and private baths, and French doors that open onto our tropical courtyard. Rates include breakfast, tax, parking, and WiFi. 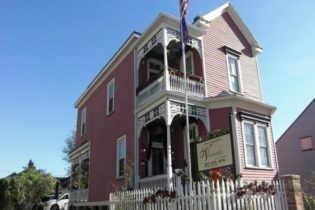 Your innkeepers Jill and Charles Abbyad have run this elegant and charming New Orleans Bed and Breakfast for nearly 30 years, and their experience ensures that each guest has a special experience at the Chimes. They are always happy to share their intimate knowledge of the area and help guests plan their New Orleans adventure. The Chimes is homey and welcoming, but still private, and the residential location makes the B&B a peaceful retreat. The five rooms, arrayed around the quiet courtyard, have all been thoughtfully decorated, and Rooms 2 and 3 feature the original heart pine floors and (nonworking) fireplaces from 1876. There is no better way to visit New Orleans! Escape to the country and enjoy southern hospitality at the Country Charm Bed and Breakfast! 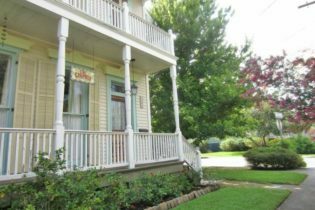 Country Charm Bed and Breakfast is located in Breaux Bridge, LA and provides a haven of rest for those who want a peaceful retreat from a fast-paced world. We are located in the heart of Cajun Country near Lafayette in Breaux Bridge, Louisiana, the Crawfish Capitol of the World! At Country Charm, southern hospitality and the beauty of nature combine to offer you relaxation on our five wooded acres. Unwind in a hammock in the shade of our 250 year-old Evangeline Oak trees. Enjoy old-fashioned fun with a game of horse-shoes. 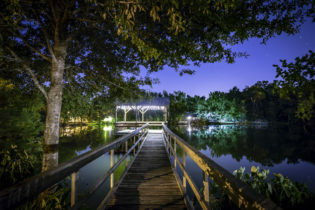 Take your sweetheart for a canoe ride or fish for bream, bass, perch or catfish in our five acre private fishing lake. Massages are also available on site from licensed massage therapist. Ask about making an appointment. 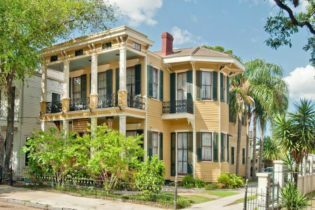 Experience a romantic and historic New Orleans Bed and Breakfast steps to the St. Charles Streetcar in the Garden District. 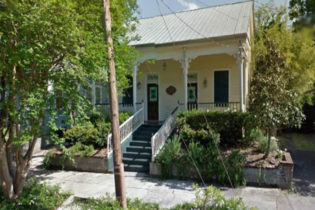 The convenient location of our New Orleans, LA Bed and Breakfast is one of its greatest attributes. 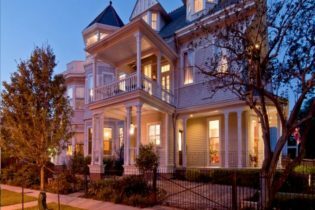 Nestled under the shady oaks of majestic St. Charles Avenue, the renovated historic mansion is the picture of New Orleans. Lovingly restored to its former glory and decorated with period furnishings, our historic New Orleans inn welcomes you to a majestic past within the comfort and convenience of a modern lodging property. Each room at our NOLA B&B has a private bath, personal central air & heat controls, telephone with voicemail, Cable TV and complimentary Wi-Fi. There’s an old expression, “Any excuse for a party.” In Louisiana, we live up to this expression. Many of the festivals are year-round and perfect for a day-trip from the Grand Victorian. We are located less than 15 minutes from the Superdome, the New Orleans Convention Center, New Orleans Museum of Art, the world-famous French Quarter, Jackson Square, Magazine Street Shopping District, Audubon Park (Zoo), Aquarium of the Americas, National World War II Museum and Tulane & Loyola Universities. Step out our front door, onto the Avenue and into the Historic Garden District. We look forward to your visit! 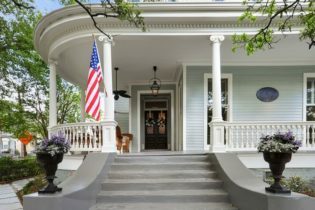 Experience southern hospitality and old world charm at HH Whitney House Bed & Breakfast in a circa 1865 Italianate beauty, an elegant getaway in New Orleans, Louisiana. 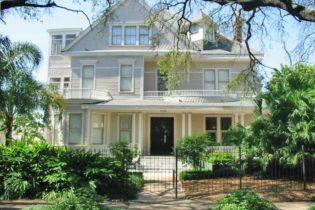 The Bed & Breakfast is located on the historic Esplanade Ridge, just nine blocks from the French Quarter and just one mile from the Fairgrounds and City Park. HH Whitney House is our elegant Bed & Breakfast in New Orleans, Louisiana located on the historic Esplanade Ridge, just nine blocks from the French Quarter and just one mile from the Fairgrounds and City Park. The HH Whitney House offers an elegant, yet relaxing atmosphere that will make your vacation, business trip or special occasion a memorable one. Even before you walk through the front door, your hosts Glen and Randy make you feel right at home. Whether you’re seeking a quiet and intimate weekend getaway or lots of personal attention for an action-packed excursion, your hosts are in tune with your needs and make it their business to pamper you. The rear garden features a beautiful swimming pool and built-in hot tub surrounded by lush tropical foliage and fruit trees. The pool/garden area provides a great setting for reading the morning paper, having an afternoon cocktail, or taking a late-night dip in the hot tub. The base of the home’s original cistern provides a home for our Rebecca fountain and Chinese goldfish, plus there are still little nooks and crannies where one can disappear. The Inn is located on the historic Esplanade Ridge, just nine blocks from the French Quarter and just one mile from Jackson Square, the Fairgrounds and City Park. A daytime stroll along the Esplanade allows you to view the magnificent homes that grace this beautiful boulevard. You may also choose to rent bicycles and use the newly created bike lanes on Esplanade and on other major streets throughout the city. Esplanade Avenue is serviced by a bus line which runs from the Lakeview/Mid-City neighborhoods, past City Park, across the French Quarter and through Downtown/CBD/Warehouse District to the Garden District. There is even one of those large, big box retailers at the terminus of the 91-Jackson-Esplanade in case you forgot something that you just can’t live without! The bus line has direct connections to many other bus and streetcar routes which will enable you to explore the entire city without the need of your own vehicle. And most of the buses are equipped with special racks to hold your bicycle for you on those longer treks across town. The most interesting place to stay in America's Most Interesting City! La Belle Esplanade is a colorful landmark located in the middle of one of the most beautiful streets in New Orleans. Seeing it makes people smile. Good memories are made at La Belle Esplanade bed and breakfast. Private balconies in the front overlook picturesque Esplanade Avenue where it crosses Bayou Road, which is the oldest street in the city. The back garden is planted with hydrangea and oleander around the fountain. 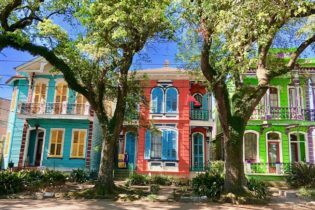 Antique charm and contemporary whimsy serve as your headquarters for New Orleans adventures in a scenic neighborhood where you never know what you’ll find around the next corner. We look forward to having you at our Louisiana bed and breakfast.Top rated B&B offering private cottages in Cajun Country. Sinful breakfast, great packages & specials, and ultimate romance. At Maison D’Memoire Bed & Breakfast Cottages of Rayne, LA we offer distinctive accommodations with irresistible Cajun charm and ambiance. Our lovely bed and breakfast features private cottages described as tranquil and very romantic. Our delightful guesthouses are located in the heart of “Cajun Country” in Rayne, Louisiana approximately one mile from Interstate 10 and only 15 minutes from Lafayette, Louisiana. 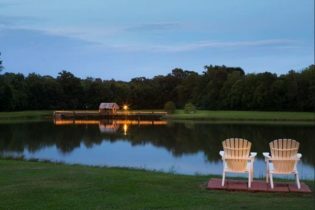 Our serene Cajun Country cottages are situated on 20 secluded acres, where the atmosphere is warm and personal and one can count the blessings of a country weekend. Our guesthouses feature a full kitchen, private sitting porch, indoor Jacuzzi for 2 (in some cottages) and we will deliver a delicious full breakfast to your door each morning to enjoy in the privacy of your cottage suite! Our beautiful Rayne, LA bed and breakfast features a special events center, equipped to host gatherings of up to 150 people. Come and celebrate in a picture perfect setting, ideal for small weddings and elopements of up to 12 guests, anniversaries, class reunions and other special events. The peaceful surroundings provide a picturesque location for times long remembered; one of those rare places that seem to have it all. We look forward to welcoming you to our charming Lafayette Louisiana bed and breakfast! Come to Maison Isabella located in beautiful Baton Rouge, LA for an unforgettable getaway to the baton Rouge area. Welcome to Maison Isabella in Baton Rouge, LA, a historic Victorian cottage situated in the heart of Baton Rouge and a short stroll to the downtown area, shops, restaurants, churches and a casino. Stay where guests can experience and enjoy all of the sights, sounds, smells and tastes that are truly unique to the area. Our Historic Inn nestled in New Orleans, LA ;Our beautiful antebellum home was built in 1848 and it is part of the National Register of Historic Places. It has been tastefully restored to its original grandeur. Featuring large rooms and bathrooms, our guests consider our inn as a perfect base to explore the rich local history of New Orleans. Romantic Ambiance Meets Local Charm; At the Marigny Manor House you will enjoy a romantic and relaxing environment in a beautiful historic home. Featuring pierced plaster molding, 14 ft. ceilings, large windows, crystal chandeliers, period antiques and an interesting art collection. At Marvilla Guesthouse we invite you to enjoy our beautiful city and its sights. Enjoy comfortable accommodations in our charming town. Take a ride on the Tammany Trace's scenic route using one of our bikes or take a casual walk along the Mandeville lakefront. The Marvilla Guest House welcomes you to enjoy Old Mandeville, LA while relaxing on the verandah of a fully restored 1870’s guest house in the heart of Louisiana. In town for business or pleasure, the Marvilla Guest House features its original heart pine floors, beaded wood ceilings and comfortable accommodations. The charming town of Mandeville has many local attractions, including the Tammany Trace for a scenic bike ride on a 31-mile trail or set sail on The Pontchartrain Yacht Club which is one block away from the inn. The inn is within walking distance to many fine dining options, boutique shops and water activities. 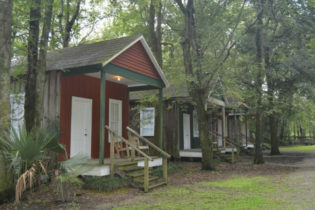 Experience southern hospitality at The Cajun Village Cottages, located in, Sorrento, Louisiana. The cottages provide a perfect place to relax and enjoy the southern way of living! The Cajun Village Cottages, located in Sorrento, Louisiana are the perfect place to experience southern hospitality at its best. Located half way in between New Orleans and Baton Rouge, it is the perfect plantation escape. Enjoy a New Orleans style breakfast before heading out to explore the unique shops and attractions. Stay in one of the eight Acadian-style shotgun houses located on the property that date back to the 1900’s. 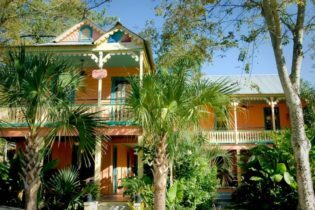 They were saved from a historical sight near Baton Rouge, Louisiana, known as Spanish Town and moved to create this one of a kind Southern bed and breakfast.